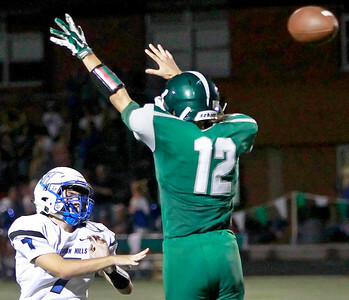 Candace H. Johnson Vernon Hills quarterback Jack Himel throws a pass against Grayslake Central's Jude Witkowski in the third quarter at Grayslake Central High School. 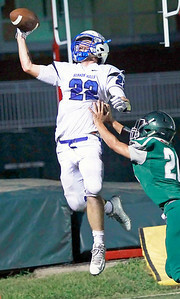 Candace H. Johnson Vernon Hills Drew Winegardner leaps up for a pass against Grayslake Central's Brian Federico in the second quarter at Grayslake Central High School. 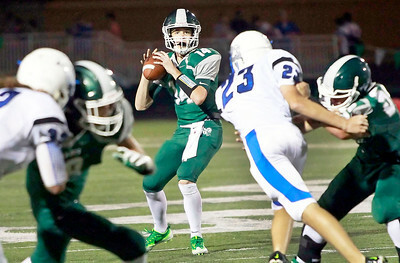 Candace H. Johnson Grayslake Central quarterback, Sam Lennartz, looks to pass against Vernon Hills in the second quarter at Grayslake Central High School. 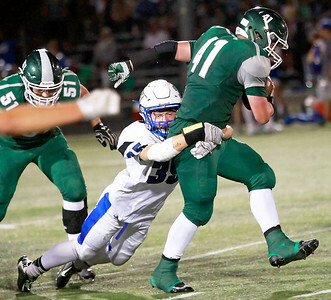 Candace H. Johnson Vernon Hills Trey Hommer tackles Grayslake Central's Mikey Andrews in the second quarter at Grayslake Central High School. Candace H. Johnson Grayslake Central's Mikey Andrews goes down with the ball after getting tackled by Vernon Hills Zack Taylor Frane and Andrew Smith in the third quarter at Grayslake Central High School. Candace H. Johnson Grayslake Central's Jason Schaal, head coach, talks with his football players after their game against Vernon Hills at Grayslake Central High School. 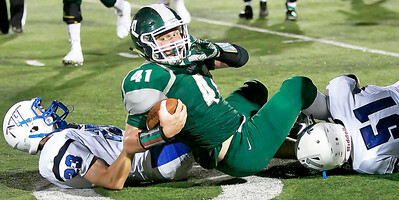 Candace H. Johnson Grayslake Central's Peter Brewster gets tackled by Vernon Hills Jake Morris in the second quarter at Grayslake Central High School. 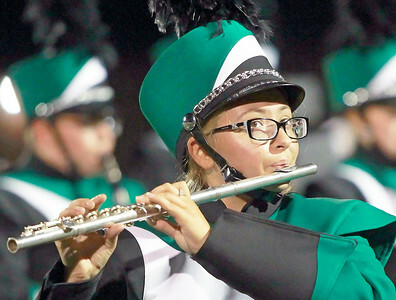 Candace H. Johnson Grayslake Central's Sonia Badash plays her flute with the Marching Band at half-time during the football game against Vernon Hills at Grayslake Central High School. 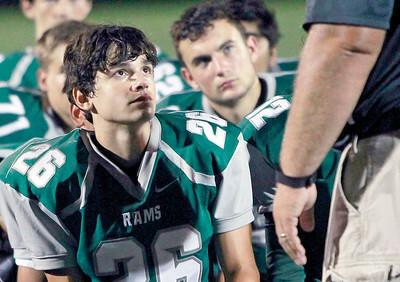 Candace H. Johnson Grayslake Central's Brian Federico listens to Coach Jason Schaal with his teammates after their football game against Vernon Hills at Grayslake Central High School. 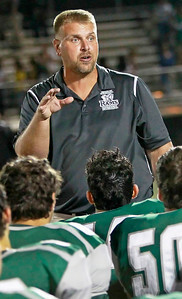 Grayslake Central's Jason Schaal, head coach, talks with his football players after their game against Vernon Hills at Grayslake Central High School.